Yah! Time to start sewing! Are you ready? 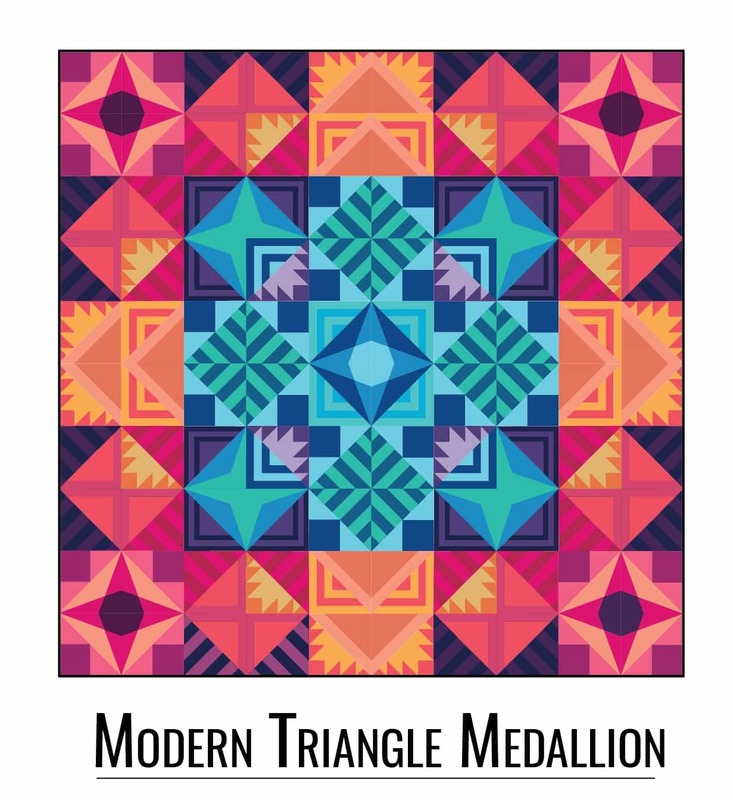 Welcome to Week 1 of the Modern Triangle Medallion Quilt Along! 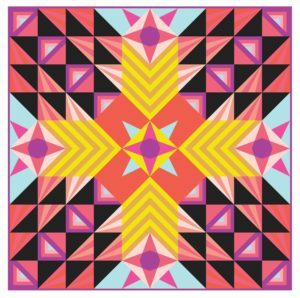 Welcome to Week 1 of the Modern Triangle Medallion Quilt Along! 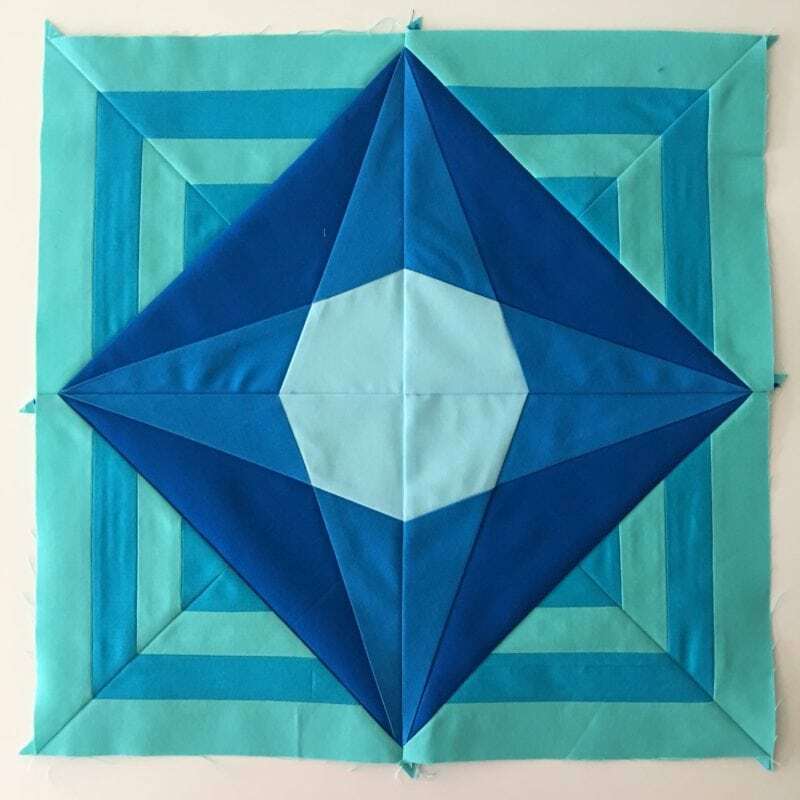 This week we are easing into our triangle block making with only 8 triangles to make and one square block to sew. So if you need a little extra time to get your materials, no worries! Or if you want to start working ahead to next week, no worries! You are free to work on the quilt along at your own pace. These posts will remain up on my website for the foreseeable future. If you do want keep up, I will have some prizes to hand out at the end in September. 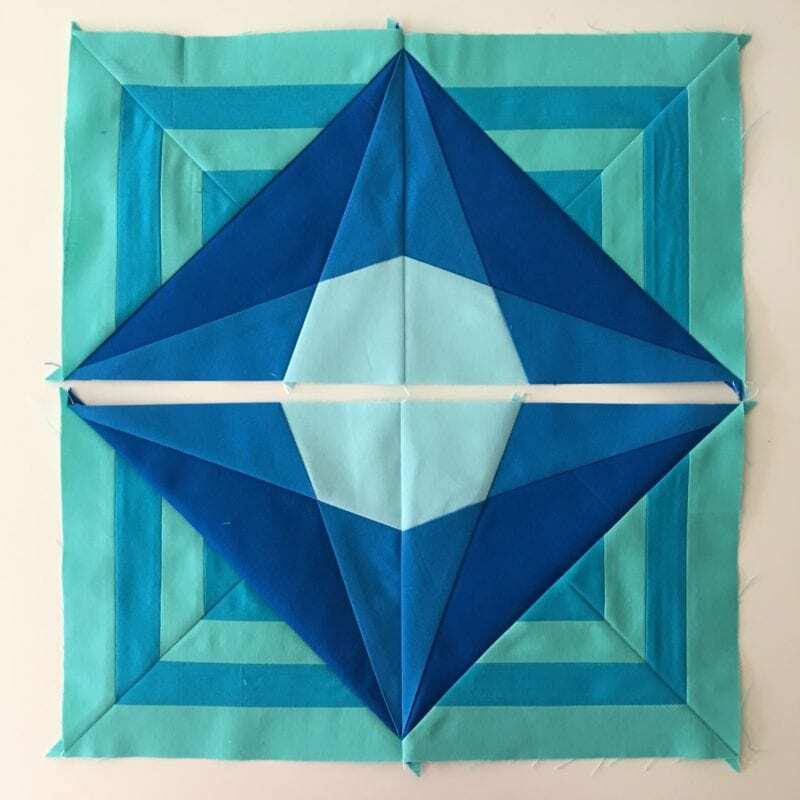 If you’re new to our quilt along, take a few moments to go back to the Introduction Post where you’ll find all the pertinent information about the Modern Triangle Medallion Quilt Along. You’ll also be able to get the introduction printables, which have coloring pages and planning sheets. People have found them to be very helpful. So I don’t want you to miss out! Heads up for Week 2! I will have a modified paper piecing foundation for Triangle Block 15 in the Bonus Printables. So you most certainly want to download that bonus before you prep your materials for Week 2. I found the modification to be really helpful in my own piecing. I’ll have it for you next week! 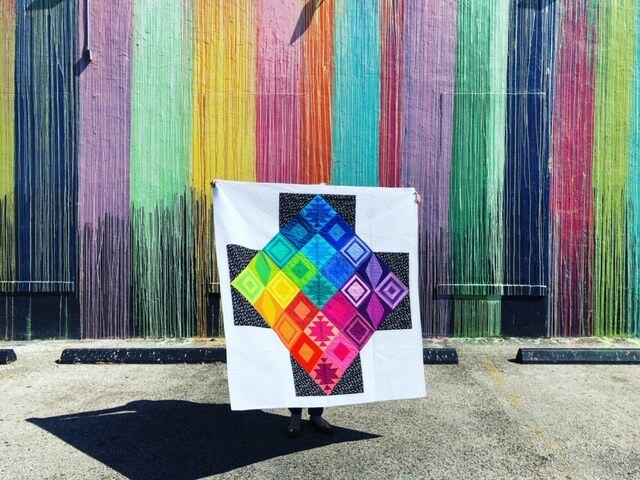 All triangle blocks patterns are from Modern Triangle Quilts. Psst! Check out my favorite paper piecing tutorial! 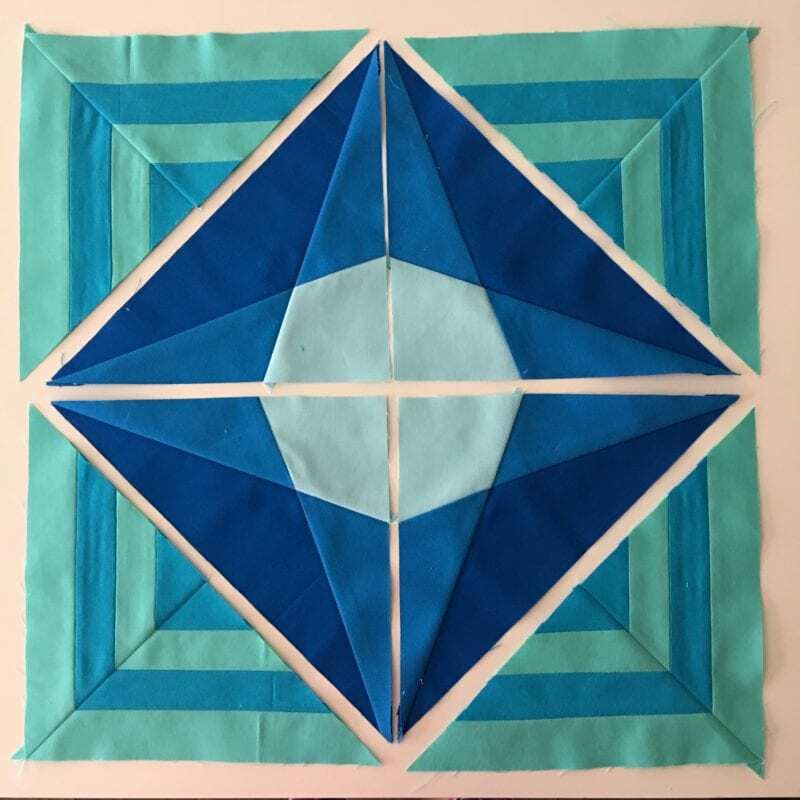 Once you’ve made the Triangle Blocks, it’s time to sew them together into a square block. First, lay out the triangles blocks according to the picture above. 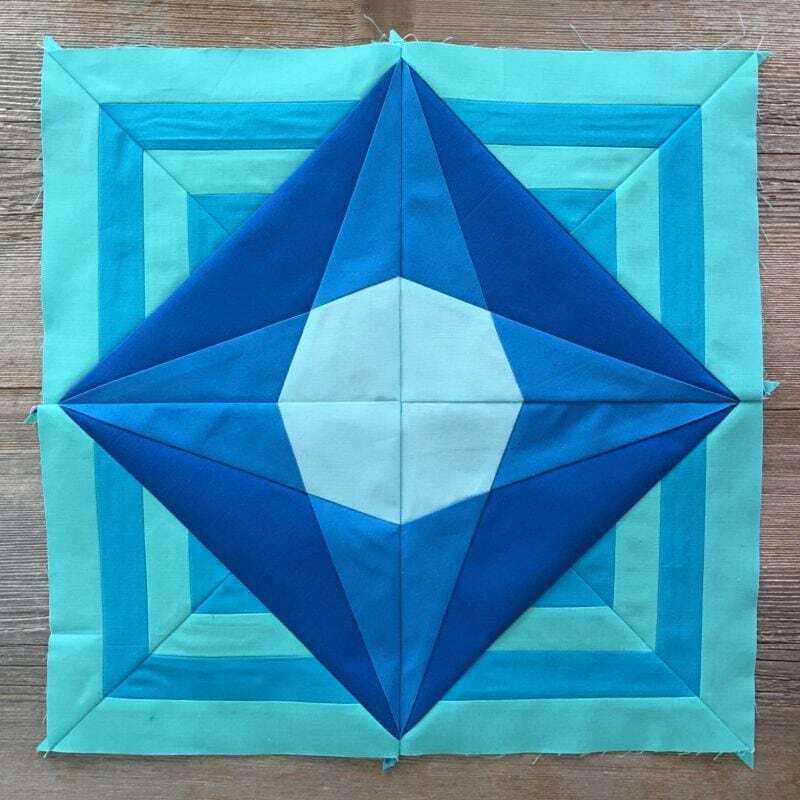 The four Triangle Block 12’s should be in the center with the four Triangle Block 4’s on the outer corners. Next, you will sew Block 12 and Block 4 into square pairs, as shown in the picture above. For the upper right and lower left units, press the seams toward Triangle Block 12. For the lower right and upper left, press the seams toward Triangle Block 4. Sew the units into rows. Press the seams to one side. Piece the rows together to finish the square block for Week 1. Press the seams as desired. Hooray! Instagram: Remember to use this hashtag #MTMquiltalong on Instagram. 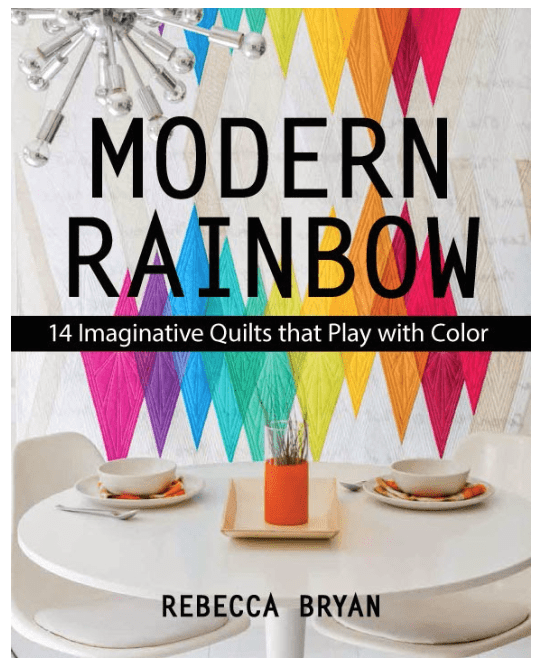 Due to changes in the Instagram algorithm, I’m more likely to see your post if you tag me @bryanhousequilts. Commenting with the @bryanhousequilts or #MTMquiltalong doesn’t guarantee that I’ll see it. (Why Instagram! Why you gotta be changin’ all the time!?) But if you tag me, I should be able to see your post! Facebook: Join my newish Facebook group to share your in progress pictures with the group. Show your work: This week share your progress on Week 1 and your finished block! 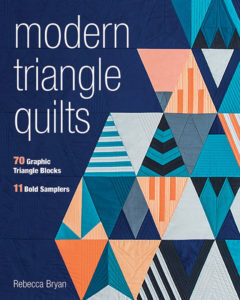 All the templates, patterns, instructions, etc can be found in Modern Triangle Quilts. The instructions were written to cut and make 1 of each block. 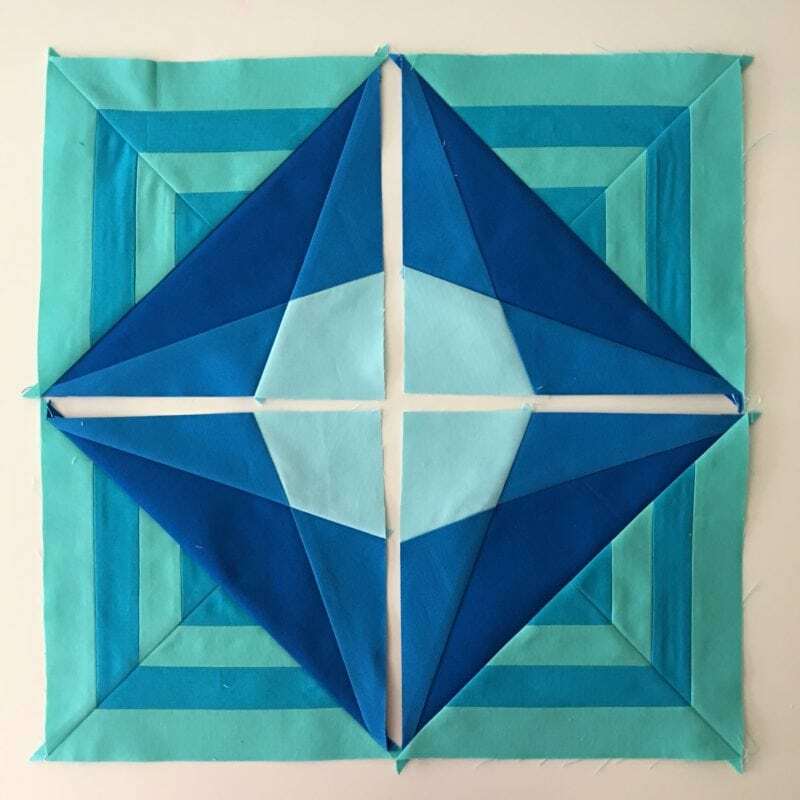 I’ll be offering adapted cutting instructions and some adapted piecing instructions to my Newsletter Subscribers and quilt shop owners as a bonus. Subscriber family you will find the bonus resources for the quilt along here in the BHQ Resource Library. Or click here and receive the “Week 1” printables delivered directly to your inbox. Ready to join? Subscribe here and receive the “Week 1” printables delivered directly to your inbox. Reminder Heads up for Week 2! I will have that modified paper piecing foundation for Triangle Block 15 in the Bonus Printables next week! Week 1 is in the books! I’ll be back next Wednesday with the next block, “Week 2”. See you on the inter webs!